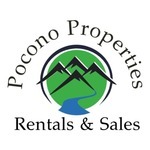 Welcome to Pocono Properties Rentals & Sales. Our staff of experienced agents are here to serve you in the Albrightsville, Blakeslee, Lake Harmony, Long Pond, Pocono Lake, Pocono Pines, Pocono Summit, Tannersville and Whitehaven Areas. With combined knowledge of Kara Sincavage, 570-807-4451 native of the Village of Blakeslee for 48 years has experience in construction, Building, Land Development, Site Supervising, Vacation Rentals, Income Producing Investment Homes, Home Decorating and much more. Father William Sincavage, 570-656-1099, Broker of Record Land Development Greenwood Acres since 1960's. Subdivided the Development, Created Lake Sinca (hence Sincavage) and built homes in the development for several years after and managed the property up until 1996 when he turned Development over to a Home Owners Association. Jacqueline Albrecht, 570-760-7082 friend of the Family and Local Realtor with over 16 years experience in the real estate make and rental agency spend endless hours working with buyers, sellers and renters. Antonette Williams, 570-233-7165, Specializing in Vacation Homes, Primary Homes, Seasonal Rentals & Short Term Vacation Rentals. Sandra Ortiz, 570-233-7670, Specializing in Vacation Homes, Primary Homes, Seasonal Rentals & Short Term Vacation Rentals. Our staff is a TEAM STAFF and all of us wok together to get any job done. Please feel free to reach out to any of us for any real state of property managing of any vacation rental. $149,000 - THIS LOVELY 3 BEDROOM, 2.5 BATH TOWNHOUSE WITH GARAGE AND CENTRAL HEAT & AIR. $469,000 - THE LAKE HOUSE IS LOCATED IN A PRIVATE COMMUNITY WITH A 30 ACRE NATURAL SPRING FED LAKE LOCATED IN THE REAR OF THE HOME. 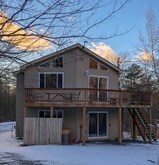 $249,000 - POCONO HOME IS LOCATED IN A PRIVATE COMMUNITY WITH A 30 ACRE NATURAL SPRING FED LAKE WHICH YOU MAY USE ELECTRIC HORSE POWER ONLY. $149,900 - SO MANY DIFFERENT OPTIONS. CAN LIVE IN HOME TO RIGHT AND HAVE COMMERCIAL BUSINESS ON THE LEFT.